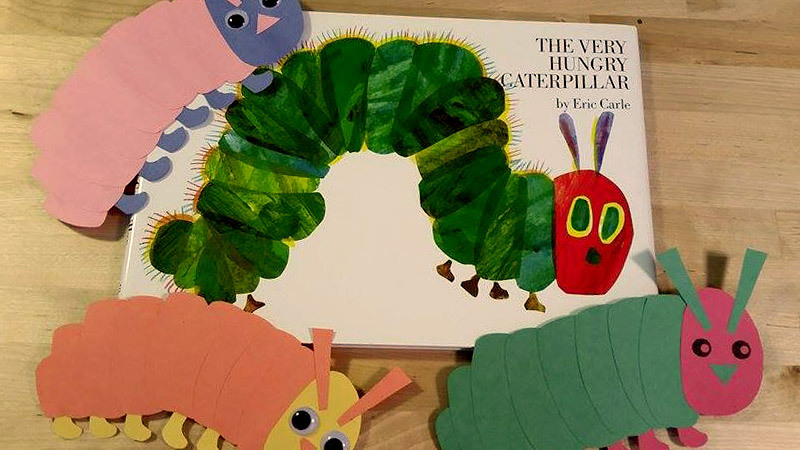 My Review: The Very Hungry Caterpillar is a classic story that every child should read or listen to. 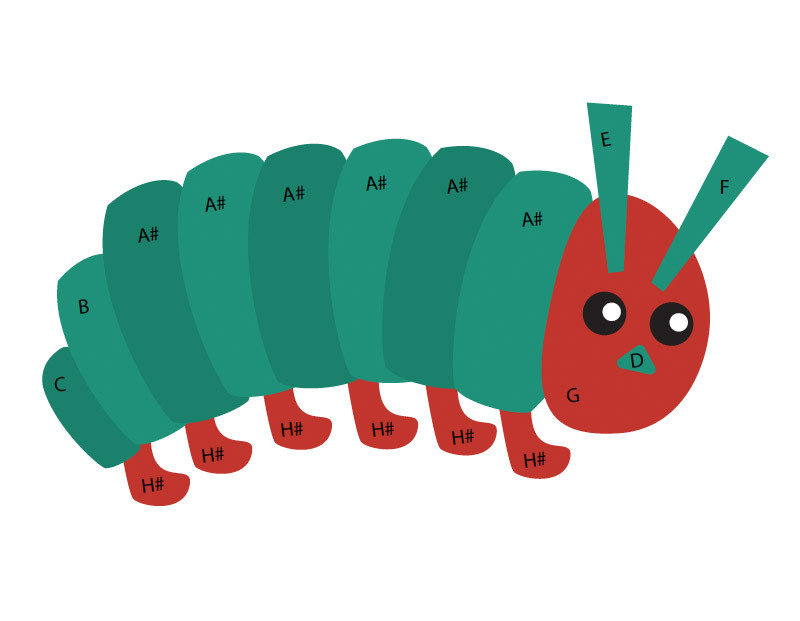 It tells the story about a very hungry caterpillar that goes through a week of eating and eating and eating. This book is filled with beautiful colors and artwork by the author himself. Kids learn a little bit about numbers and fruits as well. It is a very interactive book with different sized pages, holes and counting colorful fruits. 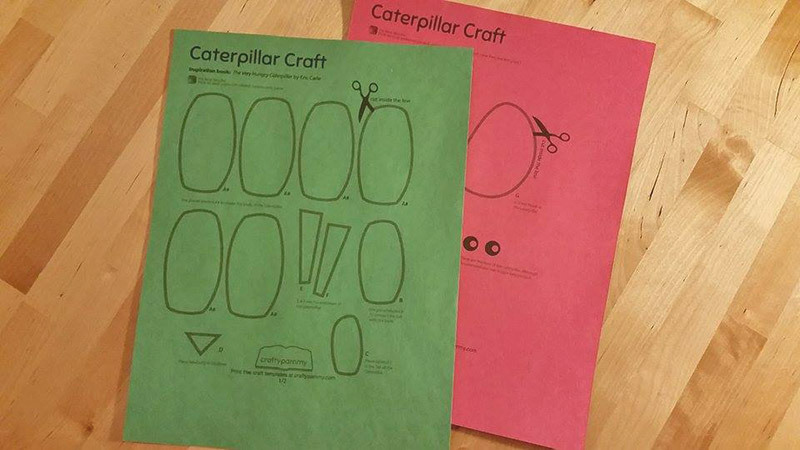 Start by printing the caterpillar craft template on 2 different colored construction papers of your choice. 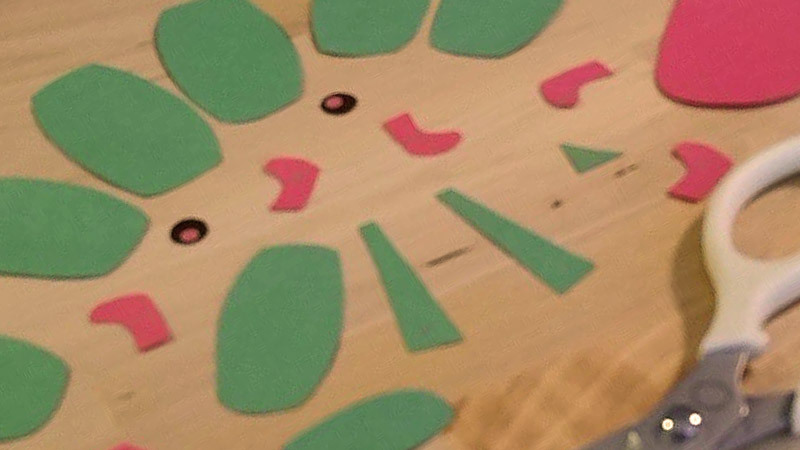 Cut out the caterpillar craft template by using the shapes to guide you. 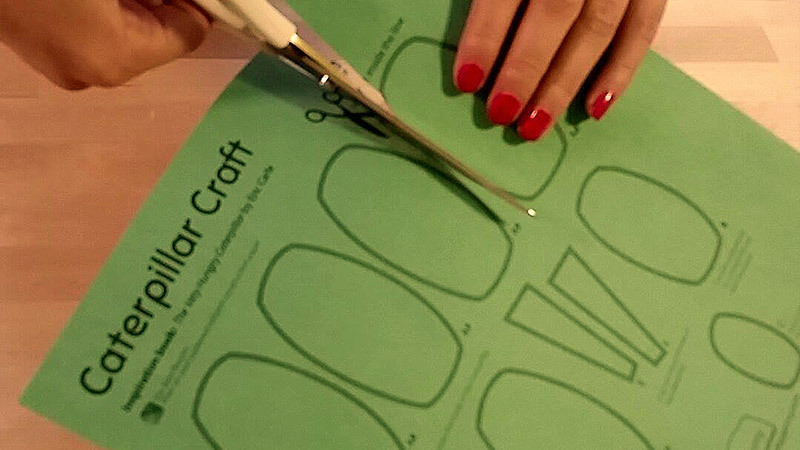 Cut inside along the line so that there will be no printed outline visible once the craft is completed. Tada! Finished cutting the craft! 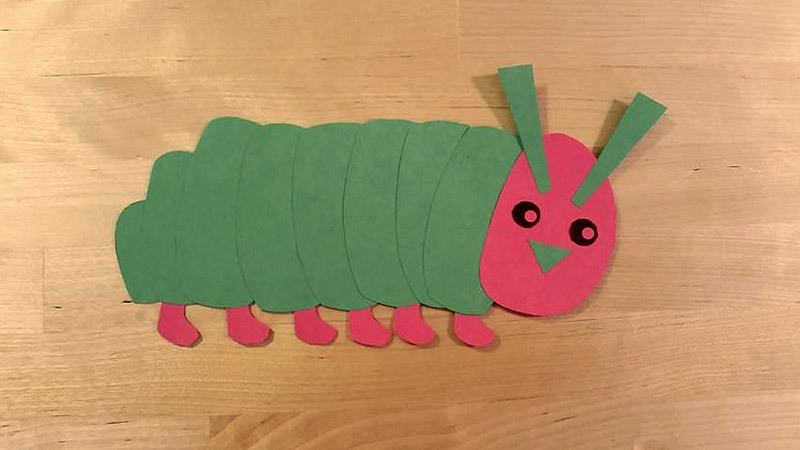 STEP 4: FINISHED CATERPILLAR CRAFT! 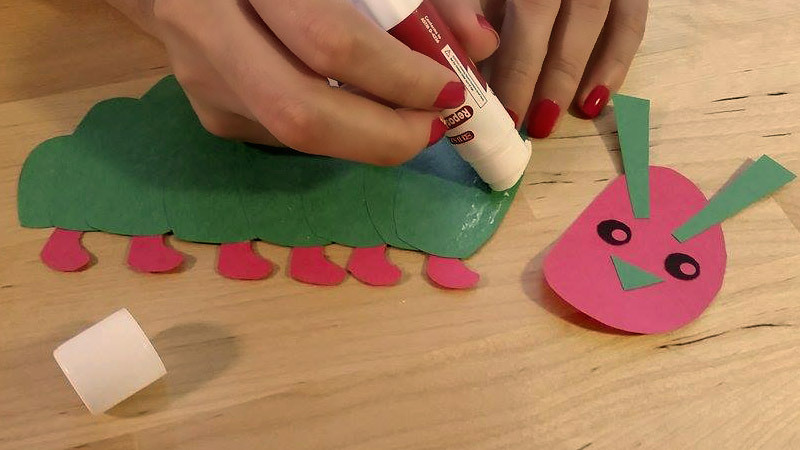 MAKE SURE TO DECORATE YOUR CATERPILLAR CRAFT! Use different colored paper! Wiggle eyes! Glitter! 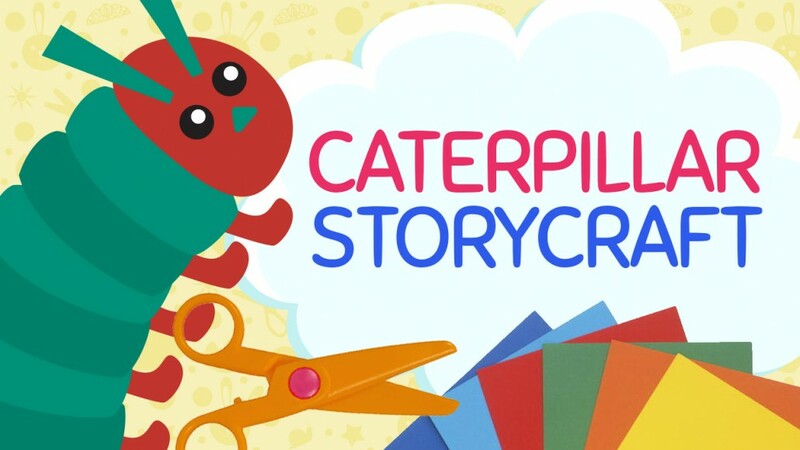 Anything to make the caterpillar craft reflect your personality! Be as creative as you can be!